In this second article, I am writing about two ideas to boost your income and status. Even though they sound simple, they are rich with details. They are also actionable and feasible. In a previous article, I have already talked about having a website and a professional email address. What is better is to include a blog on your website. If you don’t have enough time, writing once a month is enough and that’s what I do. When you write at that pace, you can amass 36 articles in three years which you can curate and turn into a guide or an ebook. For the purpose of improving your skills and having a new perspective and refined thoughts writing is a must do. When I write about a specific subject my thoughts deepen and become clearer. I always discover new ideas by doing the required research and thinking. 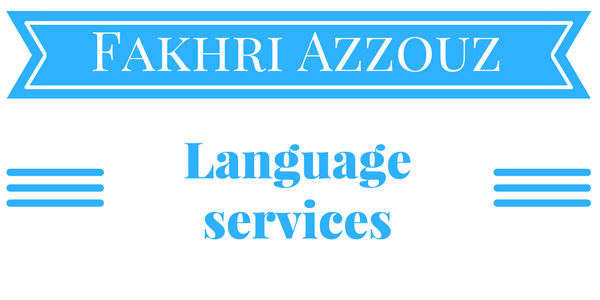 Moreover, when a linguist has a blog with time he/she will be seen as an authority whether he/she writes for clients or translators. In fact, sharing your thoughts and ideas on the internet is also called “public learning” which can be a great way to meet new people who can learn from you and teach you at the same time. Your ideas and writing can be easily shared on other platforms like Linkedin and Medium. This will improve your visibility and image. To be able to translate more words daily, have a better focus, and attention to details here are few effective techniques to become a first-rate reader. Extensive reading is key to become a first-rate language professional. Thus reading daily in your specialism and your language pair is a must do. For enhanced reading experience I use FireFox Reader View and Pocket which are pre-installed in my preferred browser (FireFox 57+). If you are an avid ebook reader, ePub format is a more modern and flexible format than PDF. Give it a try you won’t regret it, whether, on a computer, smartphone, tablet, ePub guarantees a better reading experience since it is reflowable and responsive. Buy a budget laser printer to read from papers when you are on the go or to read away from your computer. This simple solution relaxes my back and neck after long hours in front of the screen. Besides, you can take notes on the paper and research have shown that this leads to improved memorization. The final advantage is that when you read from papers there is no light emitted from the paper which science shows that it disturbs the quality of your sleep, thus your productivity and focus. Use TTS (text to speech) software to speed up your reading whether ebooks, documents, or web pages. I personally use TTS apps if I am tired or I have a lot to read. I use balabolka on my PC to read and listen to ebooks at the same time. With this technique my reading and learning speed increased significantly. Besides, it is worth noting that Firefox 57+ has a TTS integrated into its Reader View. Moreover, you can listen to podcasts when commuting, exercising, or just going for a walk. Listening is an active process that teaches new vocabulary, idioms, and you may acquire native speaker intuition if you listening for long hours regularly. In fact, there are a large variety of podcasts and you can choose a theme based podcast. I personally prefer talk shows from BBC Radio 4 as they use mostly received pronunciation and formal language. To learn as much as possible from the podcasts you can take notes (in Evernote or Google Keep for example) and do an extra search. After hundreds of hours of listening you will be more at ease speaking, have a better grasp of the pronunciation and in general ameliorate your judgment of the language correctness. If you have any addition or suggestion feel free to leave a comment.